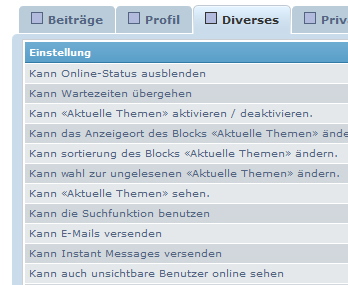 since today, board3.de is running on phpBB 3.2 with PHP 7.1 and a new, unique style. It was a huge step from phpBB 3.0.13. The whole codebase have been exchanged and replaced. Both have been moved to GitHub - you'll find the links in the navigation. The portal demo in prosilver can be seen with the style switcher on the portals left upper corner. 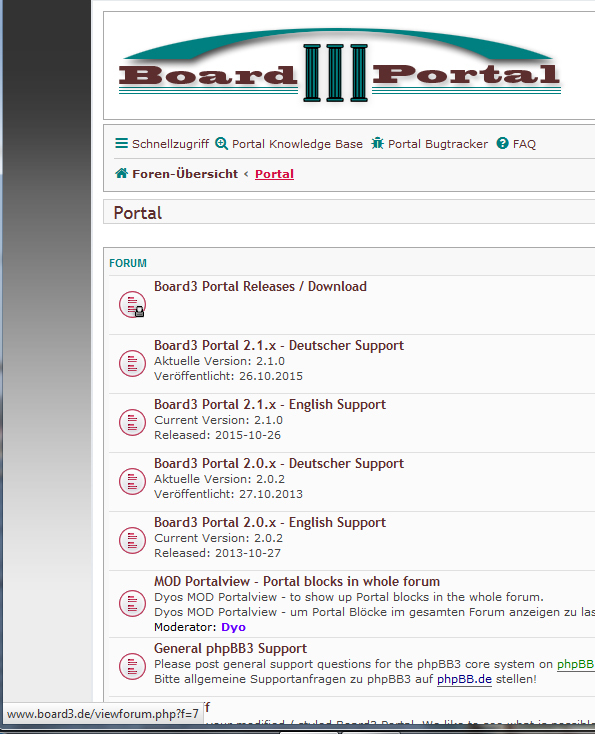 The work on the new version of the Board3 Portal extension, adapted for phpBB 3.2, have already been started. Stay tuned. so its correct that i can not see the portal here currently or have permissions been changed like the old bug from phpbb 3.1.8 ? Yes, I'm sorry, this is at least a wrong setting. But a bug as well, as this permission settings is not visible in the ACP. As a guest you can see the portal. "portal" is not shown at every site. This is fixed. Interestingly this is only possible to change with a permissions role. Nowhere else this permission can be found in the ACP. This looks like something from your browser cache. But may get obsolete, as the permissions are fixed now. Work has started. We'll see.